Skin cancer is the most common form of cancer in the United States with more than 500,000 cases reported each year. Melanoma & Non-Melanoma are the most common types of skin cancer today but are highly curable if treated early. 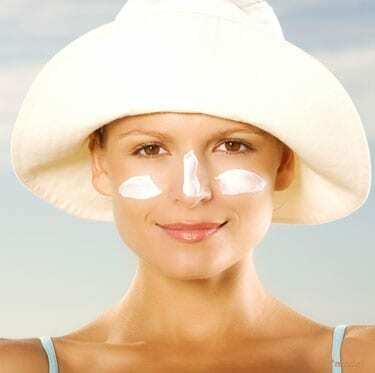 More than 90% of skin cancer is caused by the Sun’s UV rays. Everyone is at risk – some people more than others. About 80% of skin cancers appear on the face, head and neck but can be found on any part of the body. Skin cancer can be successfully treated if diagnosed early – with early treatment but can be disfiguring or fatal if left untreated. Dr. Davison is specialized in the diagnosis and treatment of skin cancer and is able to achieve outstanding results for his patients. Sun Exposure has cumulative, lasting effects that add up daily while you’re gardening, sailing, swimming, fishing, hiking, or just walking to and from your car. Sunlight reflects – off water, sand, concrete, boat decks and snow. Sun reaches below water’s surface and UV rays are present even on cloudy days. Diagnosis involves removing all or part of the growth and examining those cells microscopically. There are several treatments used depending upon the type of cancer, its stage of growth and the location on your body. Most cancers are surgically removed under local anesthesia. Other treatments include curettage, cryosurgery, radiation therapy, topical chemotherapy and Moh’s surgery which is performed only by specially trained surgeons. In cases of major surgery, even though they are life-saving, they often leave patients with less than pleasing cosmetic or functional results. Dr. Davison is a board-certified, reconstructive surgeon who performs Moh’s Reconstruction regularly. Reconstruction surgery if performed for 3 reasons: to repair damaged tissue – to rebuild body parts – to restore function and a more pleasing appearance. Dr. Davison is a board certified reconstructive plastic surgeon who is able to achieve results that look as natural as possible while restoring function. Preventing skin cancer involves being smart about the effects of the Sun’s UV rays and knowing how to avoid excess exposure. Avoid the sun between 10:00 am and 2:00 pm as much as possible, seek shade when you are outdoors during those hours, wear protective clothing – including a hat and sun glasses and use sunscreen. Dr. Davison provides today’s safest and most effective products in our DAVinci MedSpa. Be sure to check ask us about our skin-care systems – including the best sun-protection products available today. BASAL CELL CARCINOMA – is the most common type of skin cancer and is the least dangerous type. It tends to grow slowly, rarely spreads beyond its original site, is seldom life-threatening but if left untreated it can grow deep beneath the skin and into the underlying tissue and bone causing serious damage – especially if located near the eye. SQUAMOUS CELL CARCINOMA – is the second in line and frequently appears on the lips, face or ears. It sometimes spreads to distant sites including lymph nodes and internal organs. Squamous Cell carcinoma can become life threatening it left untreated. MALIGNANT MELANOMA – is the least common but occurrence is on the rise – especially in Sunbelt states. It is the most dangerous type of skin cancer but can be completely cured if diagnosed early and treated quickly. Malignant melanoma is capable of spreading throughout the body and can be fatal if not found and treated early.